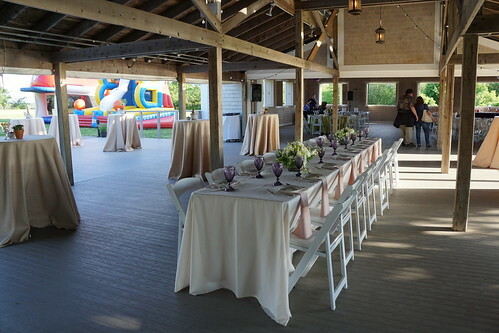 The open house is held at one of the main event spaces, the Waterfront Pavillion. The space can hold up to 225 people and is right in front of the beach. 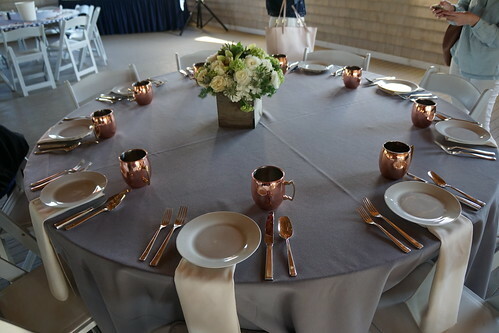 The island can accommodate larger events, as well, at the Ocean Bluff Pavilion. 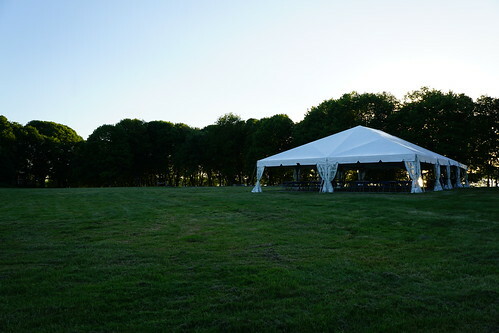 The two main tents can easily hold 400 people total, but additional tents can also be set up and there's enough space for 2000. 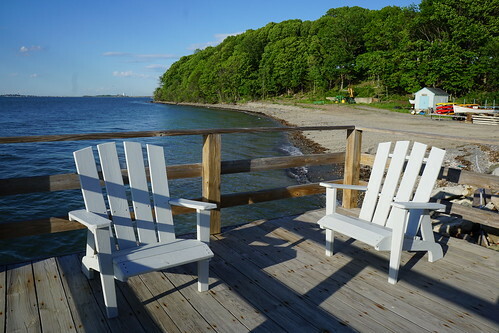 There are a number of overnight lodging available as well, from a 5-bedroom Colonial house that bridal parties normally opt for to dormitories that can host up to 160 people. 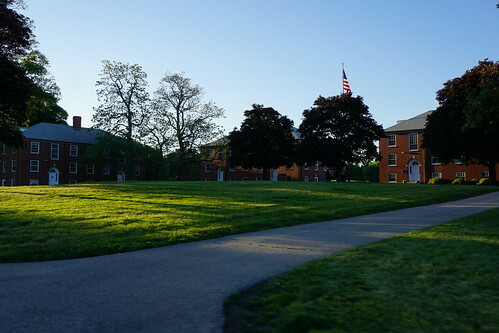 These dorms are where the students stay during their multi-day summer programs. OK, now, the food. 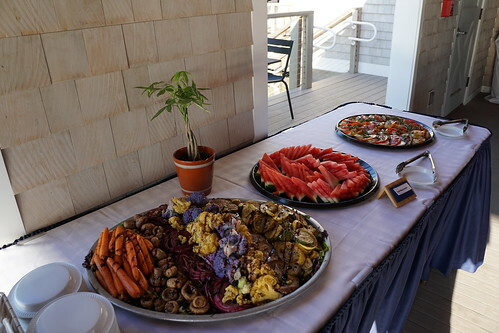 The food was quite good and they feature a lot of local New England produce. 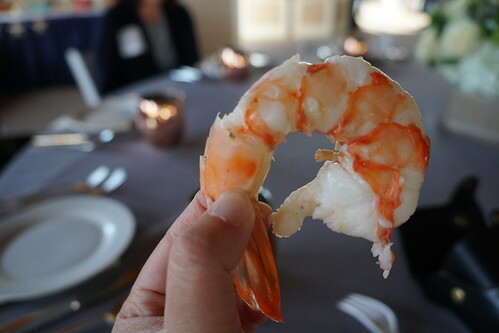 We had a buffet of appetizers, bacon-wrapped scallops (one of my favorites of the evening), clam chowder, and the biggest cocktail shrimp ever! 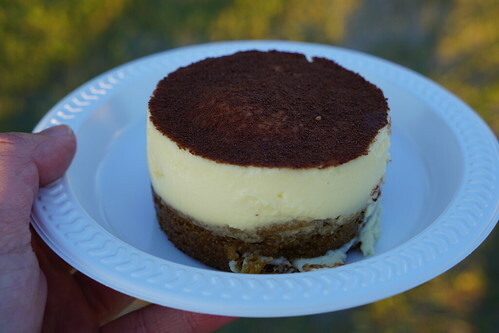 They had prepared a few dessert options, but I only had room for one and opted for tiramisu. Oh, and S'mores. 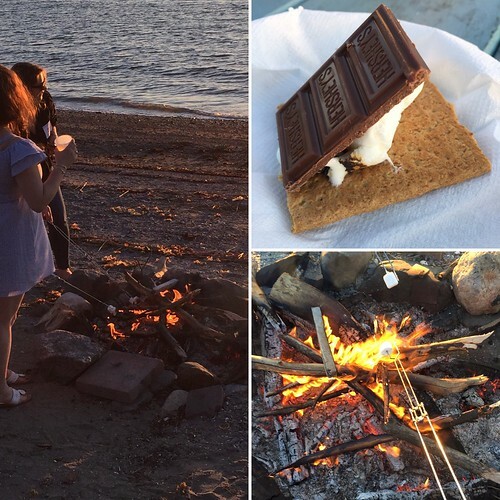 There's always stomach space for S'mores on the beach! 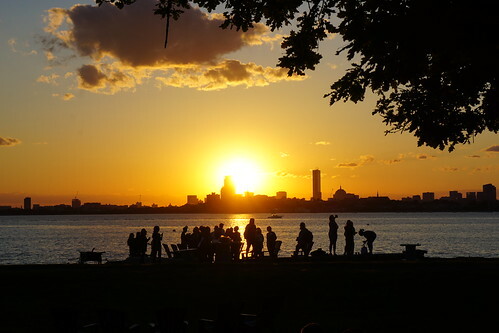 I can definitely see how lovely a private event at Thompson Island would be! 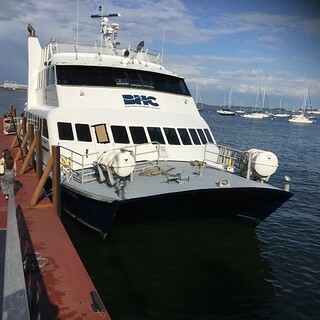 It's a special experience to take the boat, have the island (or at least an exclusive portion of the island) just to yourself and your friends, eating and drinking by the ocean while looking at the Boston skyline! 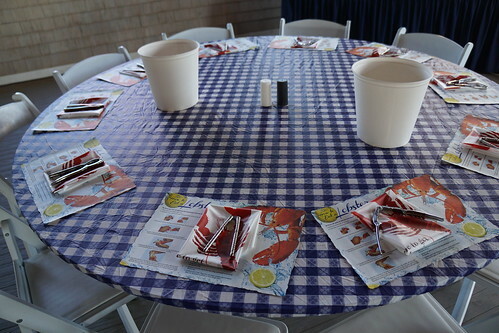 And all the proceeds go towards giving Boston public school students a science education.